Hey y’all! So this is another installment of Mastication Monologues from my recent vacation for the Korean Thanksgiving holiday. Actually, now that I think about it, this is my 100th post! I never thought I would keep up with my blog for this long, and I would be trying so many different types of food and sharing my findings with the world. Thanks for all of your support!! Yet I regret having not started it earlier to record some great restaurants I visited in Europe whose names escape me now. Alas, the show must go on, and this will be epic! 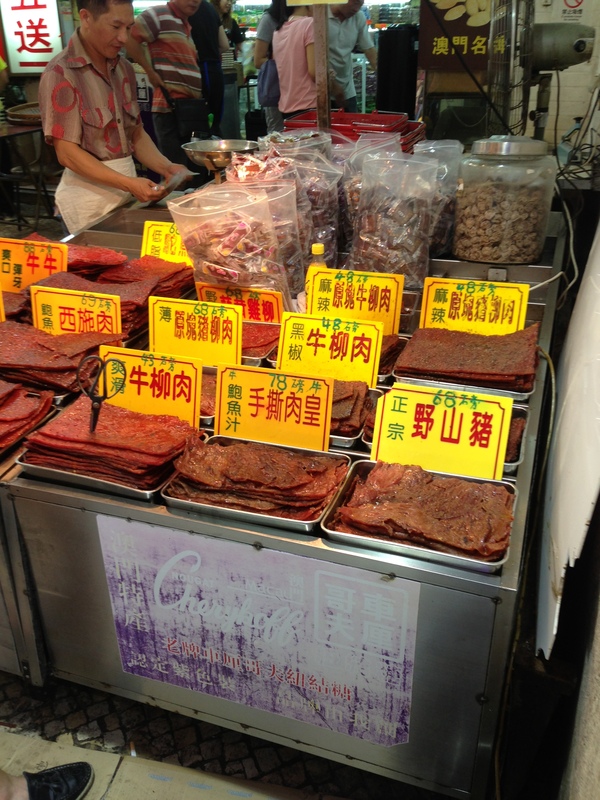 So that brings me to today’s post where I traveled to the island of Macau. 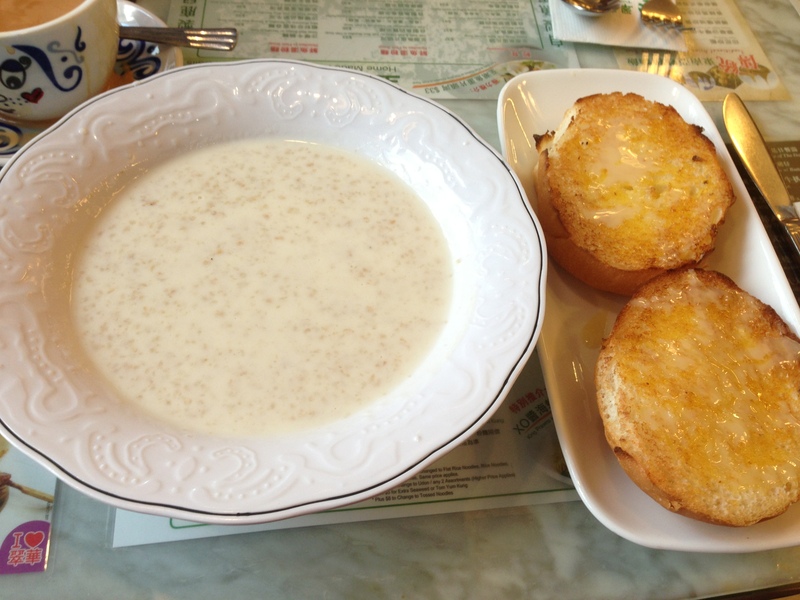 Before I left, I started my day again at a cha chaan teng where I had a Hong Kong breakfast of oats with milk and crispy buns with sweetened condensed milk. 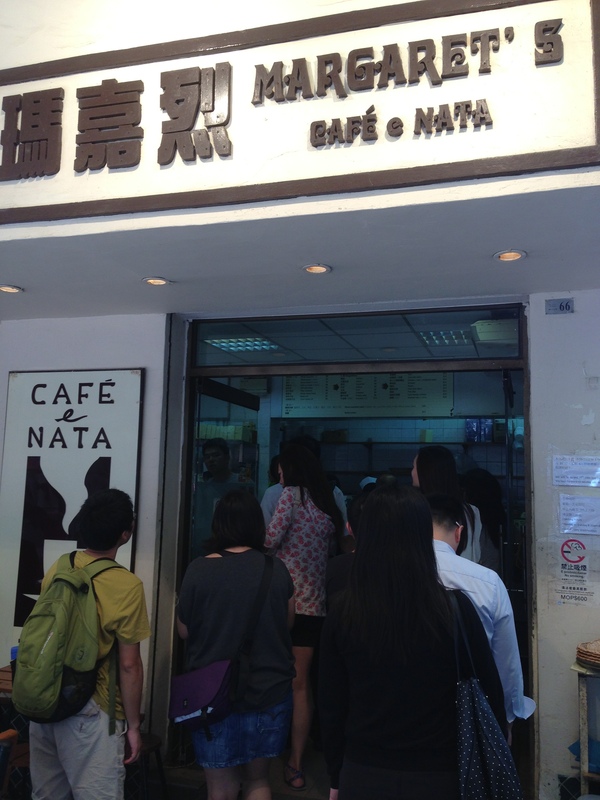 If you don’t know what a cha chaan teng is, check out my last post. The oats were unfortunately more milk than oats, so I jazzed up the bland concoction with some sugar that was on the side. As for my crispy buns with sweetened condensed milk, I should have just gotten two orders of these toasted nuggets of heaven. Not only were they crunchy yet soft, but the salty butter mixed with the extremely sweet condensed milk definitely beat any doughnut I’ve probably ever had. They were that good. 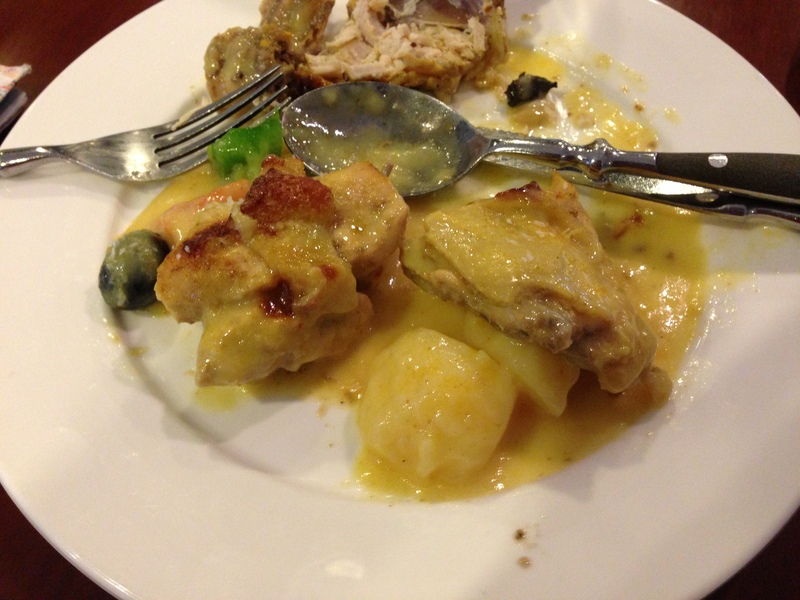 Once I downed that satisfying meal, I was ready to catch my boat to Macau. 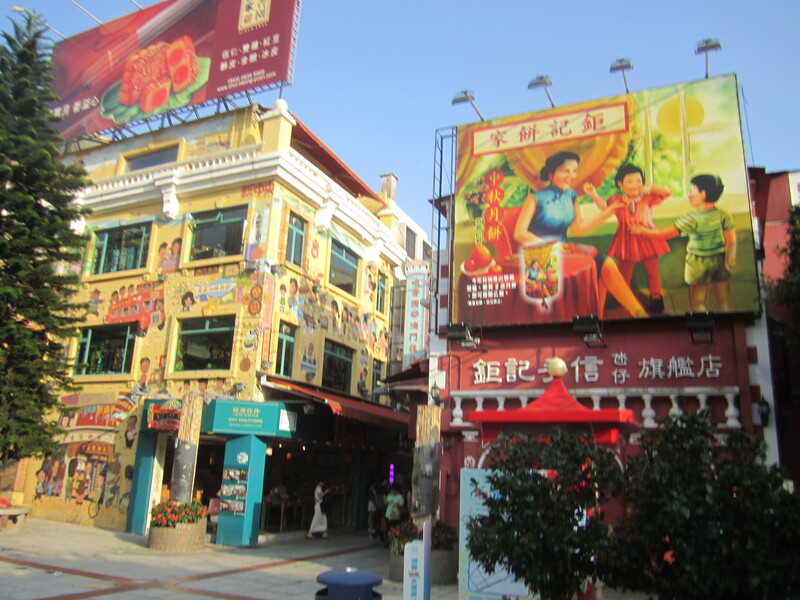 I was originally drawn to Macau ever since my mom told me about her exhilarating ride on the hydrofoil, and how the island was a mix of both Portuguese and Chinese cultures. So, I was determined to see this cosmopolitan island for myself while vacationing in Hong Kong. Naturally, the food was another driving factor for me to go the extra mile and see the island. I’ve always loved Portuguese and Brazilian culture whether that be Fado vs. a birimbao for a capoeira roda or some Nando’s spicy piri piri chicken vs. some pao de queijo and brigadeiro. 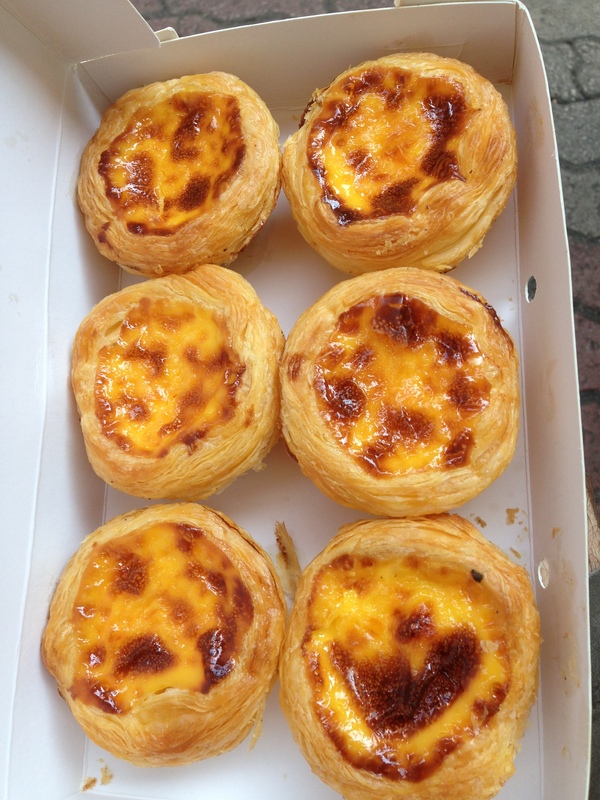 One of the first noms that I sought out were the pasteis de nata or more commonly known as egg custard tarts. 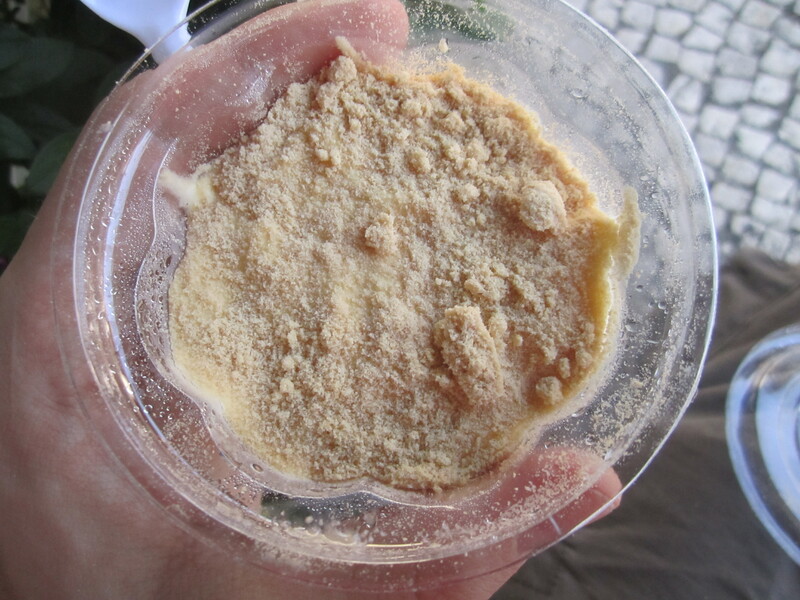 I really wanted to try them in Macau because I had some in the Santa Maria de Belem neighborhood of Lisbon. 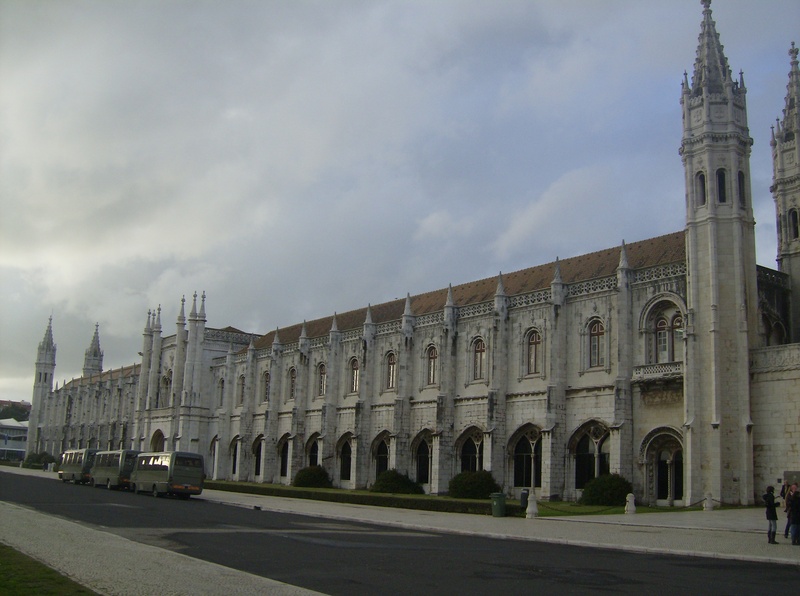 The monastery next to the original bakery in Lisbon. 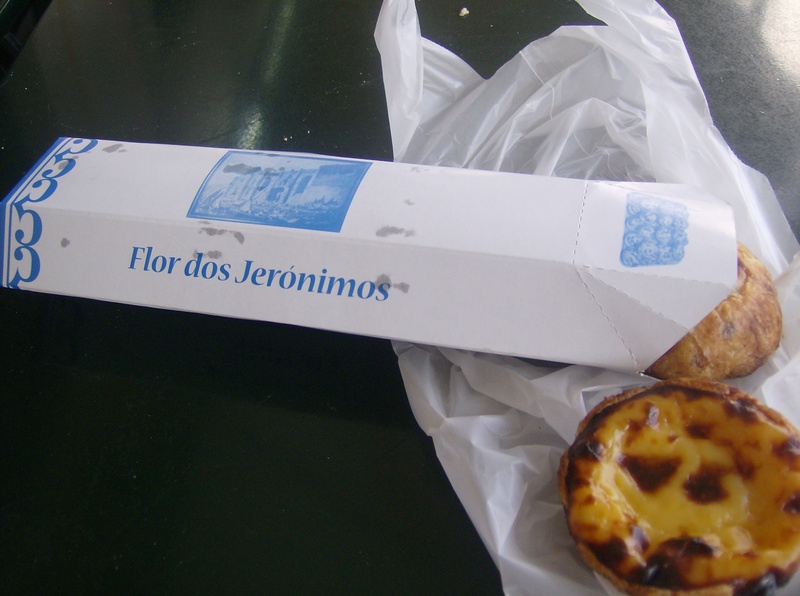 I bought them at the first bakery (Casa de Pasteis de Belem) that began mass producing these egg desserts in 1837 when the original producers, the Jeronimos monks, were driven out by the Liberal Revolution of the 1820s. Ain’t nothing like the real thing. They were amazing there with a little powdered sugar and cinnamon on top, so I was gunning to see if they were worth the boat ride. 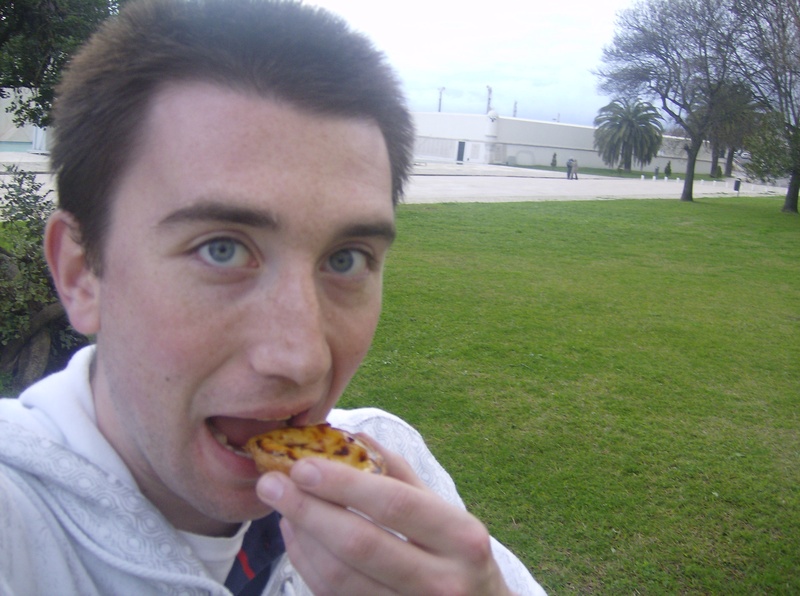 I was a fatty even five years ago. 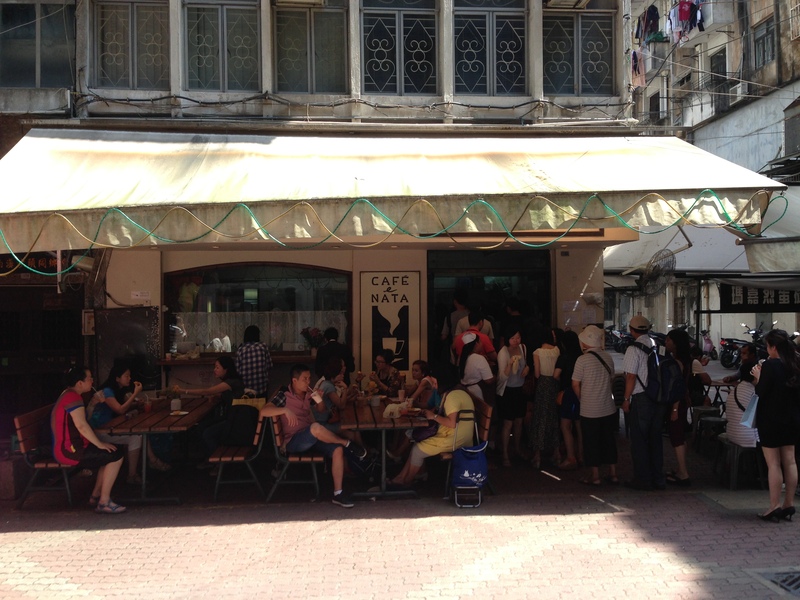 In Macau, I ended up going to Margaret’s Cafe e Nata which is located at Gum Loi Building, Rua Alm Costa Cabral R/C Avenida de Almeida Ribeiro, Macau. I saw there was a line, and a woman was directing the traffic for what seemed to be a sandwich line and a pastry line. 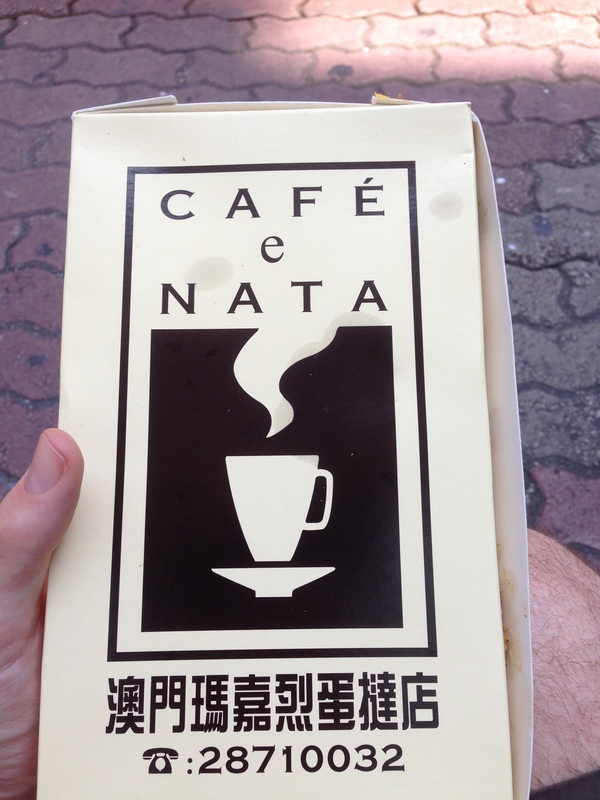 She looked at me, and I asked for “pasteis de nata“. She looked at me like I was an alien. I said it again, and she said, “Ohhhhhhhhhhhhhhh, egg tarts” and then led me to the line on the left. I thought she was just an oddball who didn’t speak Portuguese, but I told the woman behind the register, “Quero seis pasteis de nata, por favor“. She was less incredulous, but still had trouble understanding. I held up six fingers, and she rung me up. Then when she gave me change, she said “obrigado” which only men should say. I guess Wikitravel really was right when it said people don’t really speak Portuguese in Macau even though everything is written in it…so strange. Anyway, I quickly opened the box to find six golden mini-pies that would eventually fuel my intense day of hiking and sightseeing. The first bite revealed a crispy top with a smooth, vanilla taste accompanied with a slightly gooey egg interior and an extremely flaky yet sweet pastry crust. Overall, they were pretty good, but they were a bit too gelatinous for my liking. The originals in Lisbon were better since the egg custard was a lot creamier and didn’t feel like you were eating a sweet omelet. While walking to the Sao Paulo Cathedral, I also have to mention the free beef jerky samples I got in the street. These stalls are mainly by the cathedral. I tried the spicy and honey bbq flavors, and it’s different than jerky back in the States. The Maccanese version was flavorful and surprisingly moist like it was just cut off the cured hog. After running all over Macau and hiking up a mountain to see a temple, I decided I needed to go to Rua da Cunha on Cotai Island. 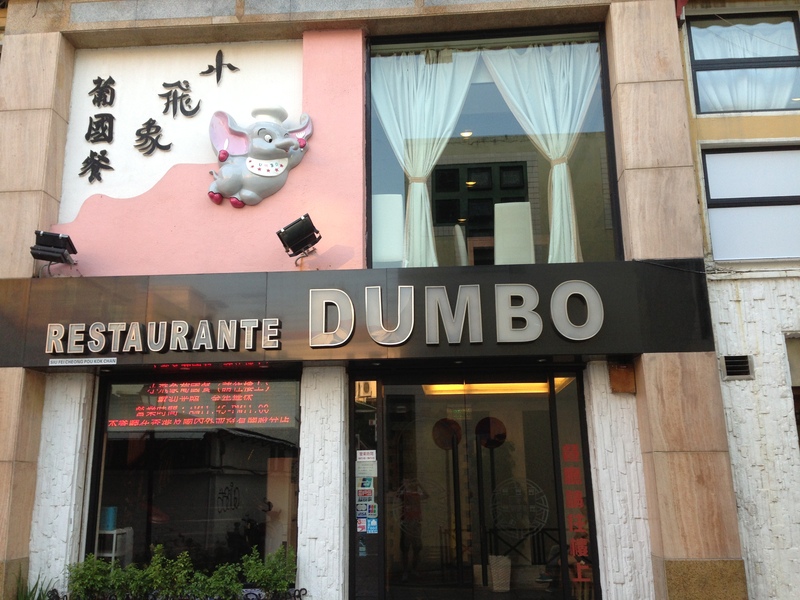 This street is known for its Portuguese bakeries and restaurants, so I decided to go to Restaurante Dumbo. 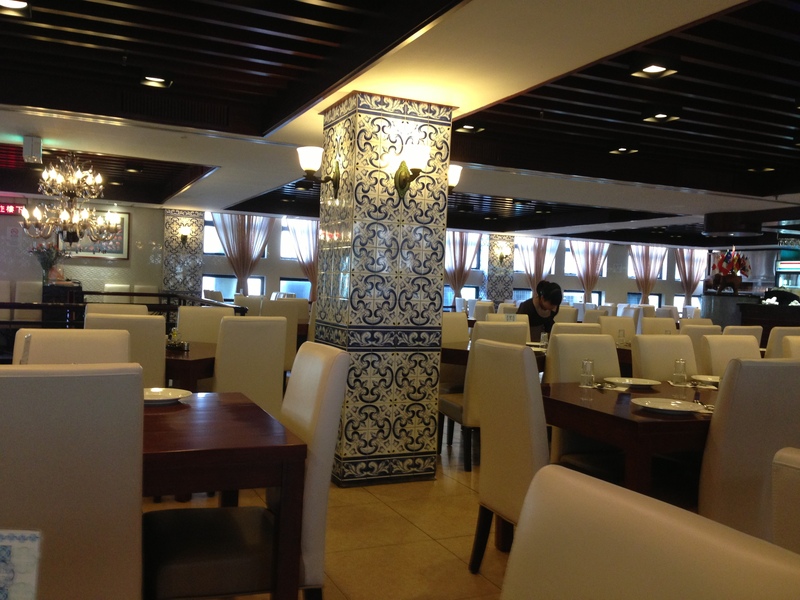 It’s very well furnished inside, and the prices are a bit more expensive compared to Hong Kong restaurants. I ended up getting a quarter of gallina a la portuguesa which arrived in a small pot at my table. It was delicious as the top was crusted over with cheese, and then beneath the surface lurked large chunks of chicken along with potatoes, black olives, and carrots. 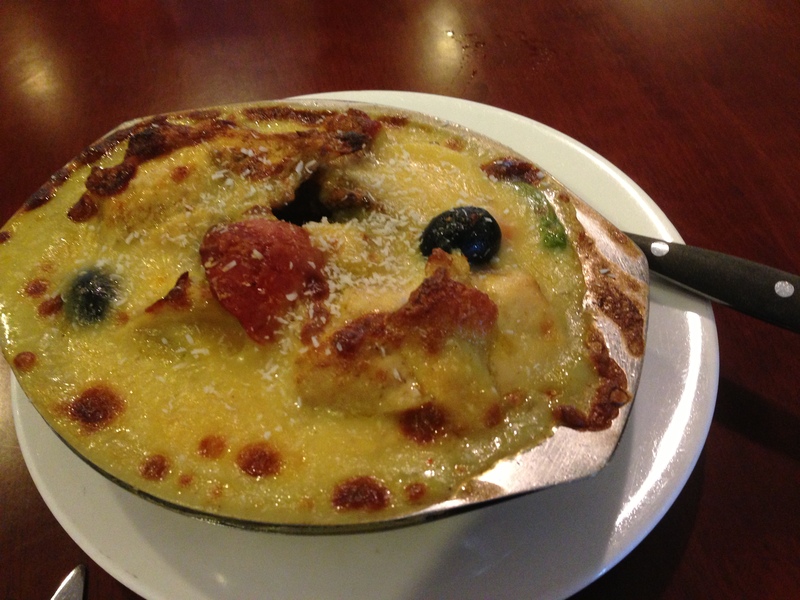 It was a hearty dish that obviously came from humble origins with the ingredients. I would highly recommend this place to anyone who wants to try Maccanese cooking. Then I got serradura for dessert. Serradura means “sawdust” in Portuguese, and it probably was pretty apt since the crushed cookies on top looked literally like it should be on a steakhouse floor. However, the taste was phenomenal. It was like a rich vanilla ice cream cup covered with cookie crumbs. It was a good end to my visit to Macau. Hey girl, can I take you home? At the end of the night back in Hong Kong, a couple of the guys and I went out in the Wanchai neighborhood and found Big Pizza located at 89 Lockhart road. I ended up getting a piece since what goes better with beer than pizza? 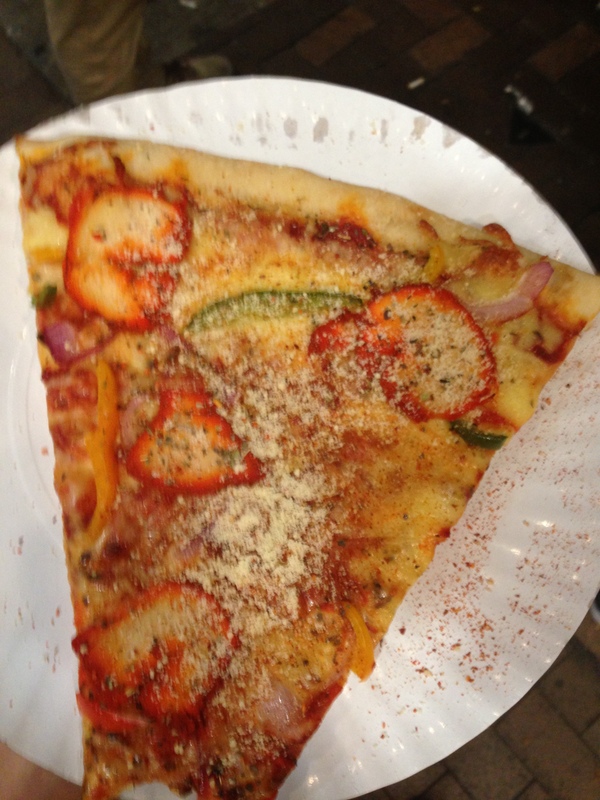 I opted for the chicken tikka pizza, and it was a slice as big as my head for only 20 HK. Needless to say, the pizza was just what the doctor ordered. The chicken was tender and had the proper Indian spices while the crust was firm, slightly chewy, and baked to a golden-brown. A great way to end a great night. Next up, my last night in Hong Kong with sum dim sum action.